Old buildings are beautiful. They have this lovely and somehow mysterious spirit, which can make you feel as if going back to the old times. However, entering a room with an old and rusty wooden floor doesn’t really give the same pleasant feeling. Such floors need to be taken professional care of, in order to get their previously great look back. 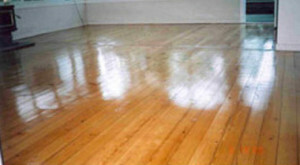 The process of restoration involves floor sanding and polishing. It takes a lot of time for a person to gain the right experience and learn how to turn an old cracked parquet into a great-looking and shiny floor, bringing its nice appearance back. 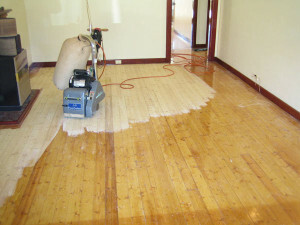 To improve your old wooden floors, use our floor sanding and polishing services. We are a professional company, which has been focused on providing customers with excellent floor sanding and polishing services. We have been in this business for several years, earning our reputation of being one of the leaders in this industry. We know exactly how to give a great new look to your floors and make them shine like new again. The process of restoration starts with floor sanding, which is a method to effectively repair an old parquet by removing the top layer of the floor and making the surface smooth. Then the floor is polished and made shiny and clean. Sometimes the process might require refitting or replacing of whole parts, in case that there are serious cracks or missing parts in the flooring. Our team of super experienced employees can guarantee excellent results. All of them are well-trained and have the necessary skills that are required to apply the floor sanding method professionally. Our experts can complete every task quickly and extremely effectively, making your floor look like brand new. Our team of experts will take care of every single detail and will make every centimetre of your floor glossy and clean, giving it a totally new and fresh look. We have chosen carefully each of our employees in order to make sure that we only hire the best. Therefore, we can guarantee results that reach beyond excellence. To make the process complete, we work with high-quality products only. Our detergents are biodegradable and safe for both your health and the environment. In this way we provide you with the wanted service without putting your health in danger. We work seven days a week, including on holidays. Our call centre is available every day and our operators are always ready to answer any question you might have. Don’t hesitate to contact us and order our professional floor sanding and polishing services.